Sometimes, my favorite parts of a novel are its bits of nonfiction – delicious, crazy facts the author pulls from real life and weaves into the story. This is the case with Alan Shapiro’s “Broadway Baby” (Algonquin; $13.95), a novel studded with comic anecdotes so good it would be hard to make them up. Shapiro will give a reading and sign copies of his novel 7 p.m. Thursday, Feb. 2, at Park Road Books, 4139 Park Road. “Broadway Baby” is the story of Miriam Gold, a Jewish girl from Boston whose life doesn’t end up matching the show-business fame she craves. It’s the first novel for Shapiro, who teaches creative writing at UNC Chapel Hill, but it didn’t begin as fiction. So he started making stuff up, he says, “and writing became fun again.” Among his creations is Miriam herself. Miriam never achieves her own stage career, but she becomes the consummate stage mom when she spots talent in her oldest son. Though Miriam’s inner life is pure fiction, other parts of the book draw from Shapiro’s family history. Miriam’s youngest son, Sam, becomes a poet, like Shapiro. When Sam sends his parents his first book of poetry, titled “Family Matters,” Miriam is perplexed. When Miriam attends one of Sam’s readings, she finds he’s not the performer he should be. He fidgets and fails to make eye contact. He also makes the mistake of looking at the clock in the room. “Stop lookin’ at the clock!” Miriam barks. Later, he does it again. Yep. That painful passage is also based on a true story. Shapiro’s mom now lives in a Chapel Hill retirement community. Though she was never a stage mom, he credits both his mother and his late father with a remarkable wit. That wit comes through clearly in this new novel. Wayne Pacelle, president of the Humane Society of the United States, will be making a stop at Huntersville's Barnes & Noble in Birkdale at 7 p.m. Thursday, Feb. 2. Pacelle will discuss his bestselling book, "The Bond: Our Kinship with Animals, Our Call to Defend Them." He'll also take questions and sign copies. 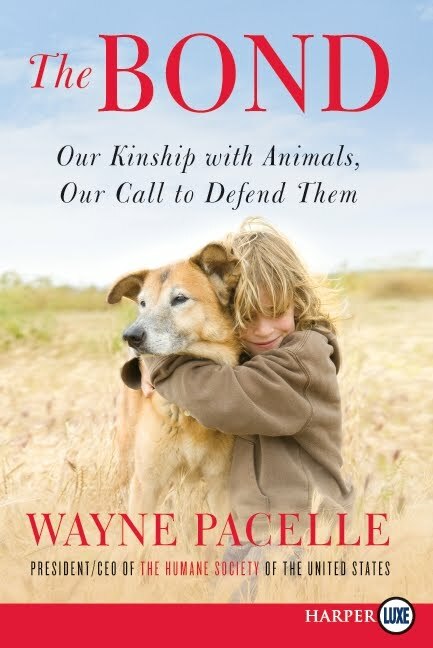 In his book, Pacelle examines the deep links of the human-animal bond and conflicting impulses that have resulted in widespread cruelty to animals. The event is co-hosted by Charlotte Mecklenburg Animal Care & Control and the Humane Society of Charlotte. If you read my story this week on Charlotte's Paula Broadwell, counterterrorism expert and author of "All In: the Education of General David Petraeus," you know this Dilworth mom is a tough competitor. After all, she graduated in the top of her West Point class in physical fitness. Now she can boast another accomplishment. On Wednesday night, when she appeared on "The Daily Show with Jon Stewart," the two competed in an off-air push-up contest. And she killed. And what did Stewart say about the book? Well, he noted it it was a flattering portrait of Petraeus: "I mean the most controversial thing.. is is he awesome, or incredibly awesome?" "It seems impossible," my latest message from UNC-Wilmington's Lookout Books begins, "but the fairy tale for Edith Pearlman and Lookout Books continues." 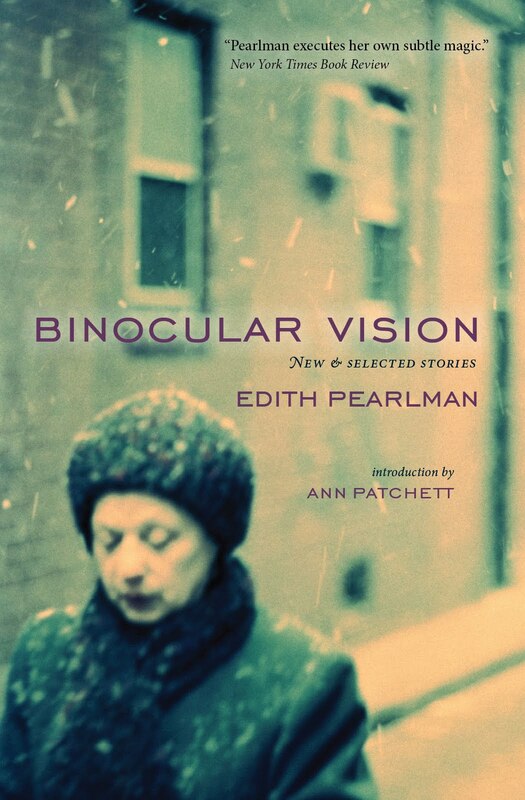 On Saturday, Pearlman's "Binocular Vision," a short story collection, was named a finalist for the National Book Critics Circle Award. 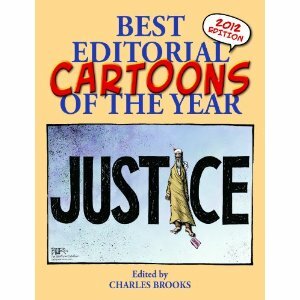 That makes it the first book to be nominated for that award, the National Book Award and the Story Prize in the same year. What makes that accomplishment even more amazing is that the book was the very first from Lookout Books, a small new publisher affiliated with UNC-Wilmington's Department of Creative Writing. Here's more good news: In April, Charlotte-area residents will have the chance to hear Pearlman read from her work. 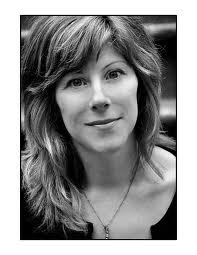 She'll be at Davidson College on 7:30 p.m. Tuesday, April 17,in the Sloan Music Center's Tyler-Tallman Recital Hall. She'll also do a signing at Park Road Books. Details to come. The winner of the National Book Critics Circle Award will be announced March 8. The other fiction finalists are Teju Cole's "Open City," Jeffrey Eugenides's "The Marriage Plot," Alan Hollinghurst's "The Stranger's Child" and Dana Spiotta's "Stone Arabia." Ren Taylor's gift for connecting with ghosts has helped make her a successful archaeologist in Gin Phillips's new novel, "Come in and Cover Me" (Riverhead; $26.95). Phillips, who lives in Birmingham, will give a reading 7 p.m. Monday, Jan. 30, at Park Road Books, 4139 Park Road. This is Phillips's second novel. Her first, "The Well and the Mine," won a Barnes & Noble Discover Award. Among the subjects Siers tackles: Pakistan's complicity in harboring Osama Bin Laden, the overthrow of Mubarak in Egypt and Westboro Baptist Church's stance against homosexuality. This is the book's 40th edition. Before you pick up the charming new picture book “French Ducks in Venice,” it’s helpful to know a few things. First, the setting: It’s Venice, Calif., not Italy. Second, the title characters: Siblings Georges and Cécile are actually cormorants, not ducks, “although I would advise against telling them that,” the book’s narrator counsels. Freymann-Weyr hails partially from North Carolina. Though she grew up in New York, she graduated from UNC Chapel Hill. Since 2009, she has lived in Davidson. She’s now dividing her time between Davidson and California. In “French Ducks,” her first picture book, Polina Panova, a dressmaker who weaves frocks with “grass, flowers, pieces of the night sky, and strawberry jam,” has been dumped by her filmmaker boyfriend. Georges and Cécile, who live in the canal behind her house, are indignant. Georges, especially, is eager to find Polina a new boyfriend, to make her happy again. With rich illustrations by Erin McGuire, this book has the feel of an animated Disney film. It’s Freymann-Weyr’s first picture book, but she has also written five young adult novels, including “My Heartbeat,” a 2003 Printz Honor Book. And a story idea was born. Garret Freymann-Weyr will read at 4 p.m. Jan. 23 at Morrison Regional Library, 7015 Morrison Blvd., and at 11 a.m. Jan. 28 at Park Road Books, 4139 Park Road. Charlotte Mecklenburg Library services will be limited next Monday and Tuesday, Jan. 16 and 17, while the library upgrades its catalog software. Part of the upgrade will occur on Monday, Jan. 16, while libraries are closed for Martin Luther King Day. That day, access to many remote services, including telephone renewal, online customer accounts and portions of the catalog, will be unavailable. When the library reopens Tuesday, Jan. 17, patrons will be able to check out books and use public computers, but telephone renewal and many online services will remain unavailable until Wednesday, Jan. 18, when normal service returns. For more information: www.cmlibrary.org. Submissions to the annual Rose Post Creative Nonfiction Competition must be postmarked by next Monday, Jan. 16. The N.C. Writers' Network's annual competition honors nonfiction that's outside the realm of conventional journalism and has relevance to North Carolinians. It's named for Rose Post, who died last year after working more than a half century as a reporter and columnist at the Salisbury Post. First-, second- and third-place winners receive $300, $200 and $100, respectively. This year's judge is Anne Clinard Barnhill. Check www.ncwriters.org for complete contest guidelines. The N.C. 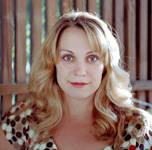 Writers' Network is accepting submissions for its 2012 Doris Betts Fiction Prize. The competition is open to any legal resident of North Carolina or member of the N.C. Writers' Network. It's for short stories of up to 6,000 words. The first-prize winner receives $250 and publication in the North Carolina Literary Review. Last year's winner was Thomas Wolf of Chapel Hill for his story "Boundaries." Details: www.ncwriters.org. The Charlotte Writers' Club is sponsoring its annual course, "Recalling Memories for Your Family or the Public." Margaret Bigger will teach the course 2-4 p.m. Wednesday Jan. 18-Feb. 15 at Christ Episcopal Church, 1412 Providence Road. Details or to register: 704-364-1788. The Charlotte Writers' Club marks its 90th anniversary this year. The club will celebrate at 7 p.m. Jan. 17 with a reception and program featuring readings by selected members. Note new location: Queens College Conference Center, 2229 Tyvola Road. Two Carolinas booksellers -- Asheville's Malaprop's Bookstore and Spartanburg, S.C.'s Hub City Books -- are profiled in a new Salon article about independent booksellers getting into the publishing game. The two bookstores are among what Salon calls "a heartening trend in the brave new world of publishing" -- indie bookstores that are "taking a page from Amazon and producing titles themselves." Actually, Hub City began as a publisher that expanded into a bookstore.The Spartanburg store grew out of the Hub City Writers Project, launched 15 years ago to support local writers. The press has published about 50 titles. Malaprop's recently revived Burning Bush Press, its publishing arm, with a soon-to-be-released title, "Naked Came the Leaf Peeper." The serial novel has chapters written by 12 N.C. writers, including Fred Chappell and Tony Early. Elissa Schappell ("Blueprints for Building Better Girls") will be among four Queens University faculty members giving free readings this month as part of the school's low-residency MFA program in creative writing. The New York Times says Schappell's "Blueprints for Building Better Girls," a collection of linked stories, "crackles with the blunt, cynical humor wielded by people chronically on the defense. Her women are caustic and witty, even in the face of sorrow." She'll read at 8:30 p.m. Friday, Jan. 13, at Ketner Auditorium in the Sykes Learning Center. Also reading that night will be Pushcart Prize winner James McKean, author of two books of poems and an essay collection, "Home Stand: Growing Up in Sports." Queens will also hold a reading 8 p.m. Sunday, Jan. 8, in Ketner Auditorium featuring Davidson College graduate Ashley Warlick, author of three novels, including "Seek the Living," and poet Sally Keith, author of "Design."